J-Tru Soldier4Christ real name Jose Trujillo is a Christian rap artist. He has been in the music business for several years in Albuquerque New Mexico where he was born and raised. 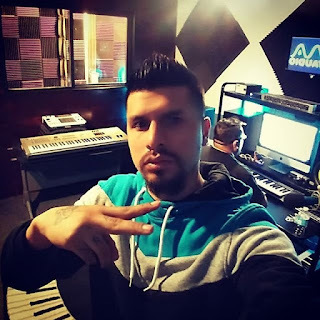 J-Tru grew up in a rough society to a drug addict mother and father who was in prison a majority of his life at a young age he got himself involved in gangs, drugs and the lifestyle of the streets. At the age of 26 years old he was approached by a young man inviting him to church service. J-Tru as a non-believer at the time refused the invite and tossed the flier given to him to the side, not knowing that a seed was planted in his heart from the invitation to meet Jesus Christ. A couple months later J-Tru moved out to Denver Colorado and gave his life to Jesus which radically turned his life around. The music that is made from J-Tru is solely to reach out to the young men and women that are in the shoes he once walked in, in the intent to change lives spreading the Gospel of Jesus Christ in the same manner it was shared to him.